BEWARE of Binarycent, this broker is not regulated! 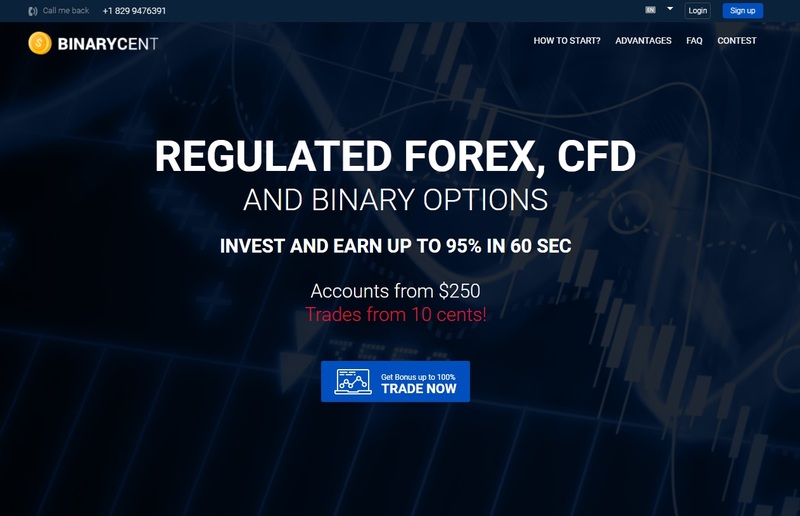 In this review we have a quick look at the binary options broker Binarycent and we explain why you should stay away from it. 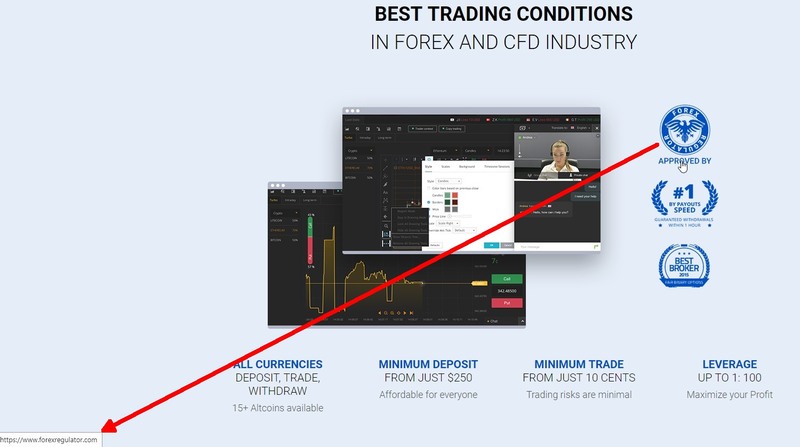 Binarycent offers binary options and CFD trading. The first thing that will strike you on the broker’s home page is the statement that it is regulated. But it is a lie! First of all a regulated broker has to clearly say where it is regulated, the licence number etc. Regulated brokers also have to provide clear contact information. But Binarycent is completely anonymous, there is no contact address on its website. So where does the regulation statement come from? Binarycent shows a badge “Forex Regulated Approved By” and when you click on it, it leas to Forexregulator.com. But this site is not even available. 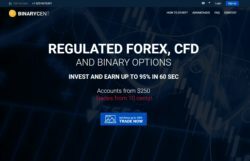 In any case regulation means a licence from a national regulator in a country that regulates trading, so even if Forexregulator.com was online, it wouldn’t change much, because it clearly is private website that has nothing to do with real regulation. While checking the BinaryCent website we noticed another problem. It says that Binarycent won the award for the best broker in 2015. The problem is that Binarycent was created in 2016! The award is fake, so this broker is obviously lying, therefore it is not trustworthy. You have to realize that with unregulated brokers your money is not protected in any way and nobody will be able to help you to get it back in case you run into problems. Binarycent is lying, it is not regulated at all. Therefore we strongly recommend staying away from it. If you are interested in trading, you can try a free demo account with a regulated broker. Always trade with regulated brokers only. Binarycent is not regulated, stay away from it. I am from EU from Slovakia (central Europa). BinaryCent copy trading trading is scam. Success rate of best providers was only 42%.